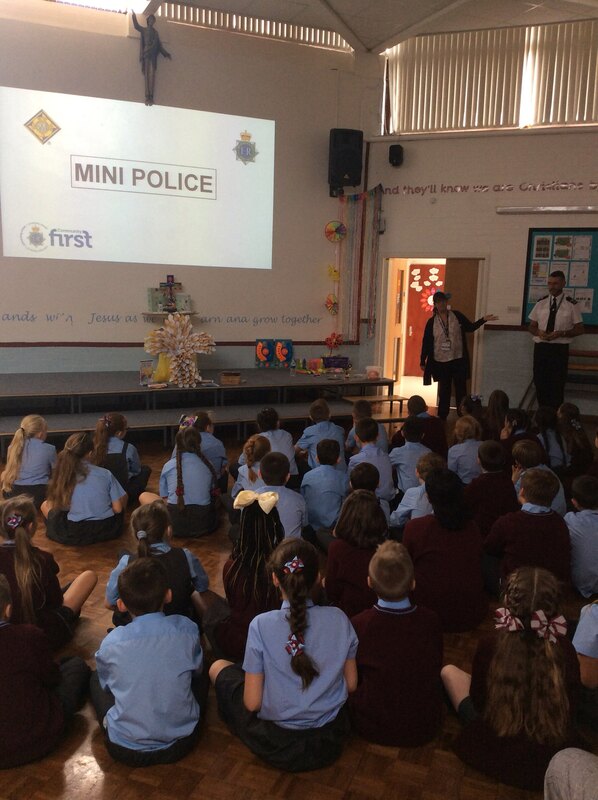 We have been very lucky and our school has been selected to take part in the mini police programme. Some police officers came into school to tell us all about it. Some of our year 5 and 6 children will be off to learn how to be police officers in their training centre very soon and will then be working in the community to help make the environment around school a better, safe4, happier place to be.